The Home Entertainment Show (aka "T.H.E. 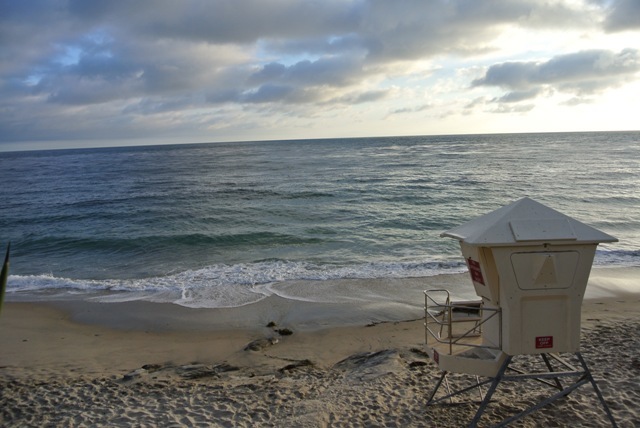 Show") took place May 31, June 1 and June 2 in Orange County, California. 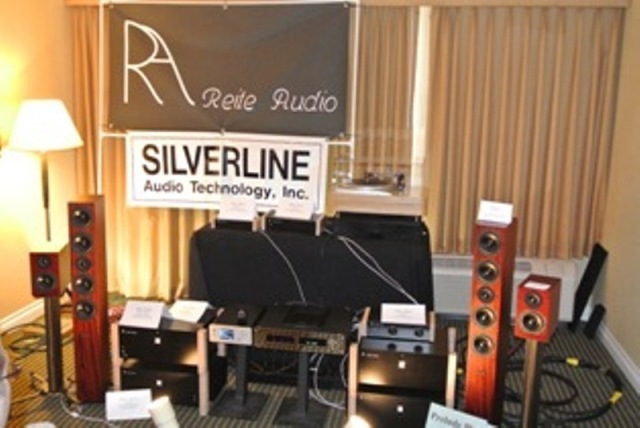 It was a gathering of 400 high end audio vendors with 200 rooms housing some of the best audio gear around. It took place at the Orange County Hilton and Atrium Hotels, which are next to one another. 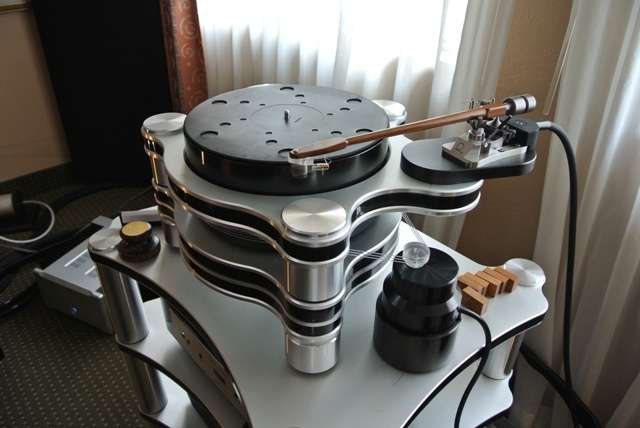 In between the hotels were food trucks, exotic cars, fine cigars and live music, even Michael Fremer was there to show all how to set up a turntable. It seemed a success for all involved. It was way too much for one person to cover, but I tried. 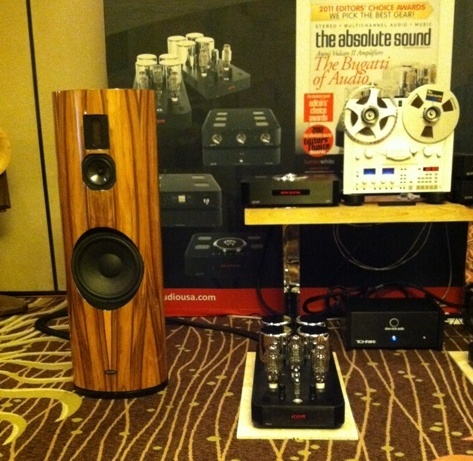 Here is a sampling of the interesting new products and demos I heard at T.H.E. Show. 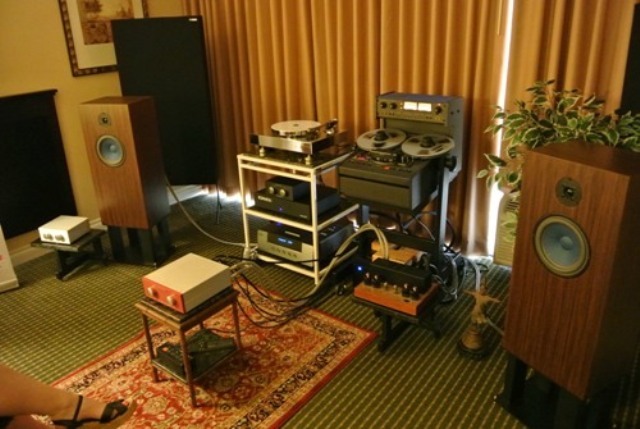 The Music First Audio room showed off their Baby Reference pre amp and the room sounded great with a selection of jazz playing through a Otari tape deck, a Triangle Arts Symphony turntable, amps by Electra Fidelity and speakers from Audionote. 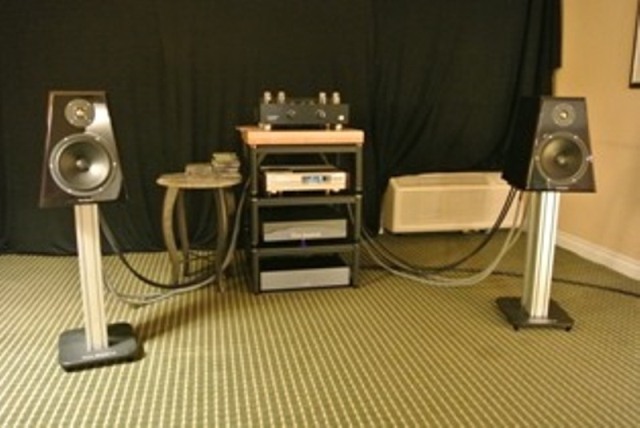 Von Gaylord Audio demonstrated its new VG-8 speakers coupled with the Starlet integrated amplifier and produced some fine sound and played surprising loud for smallish monitors. Word has it they can also be placed near walls. 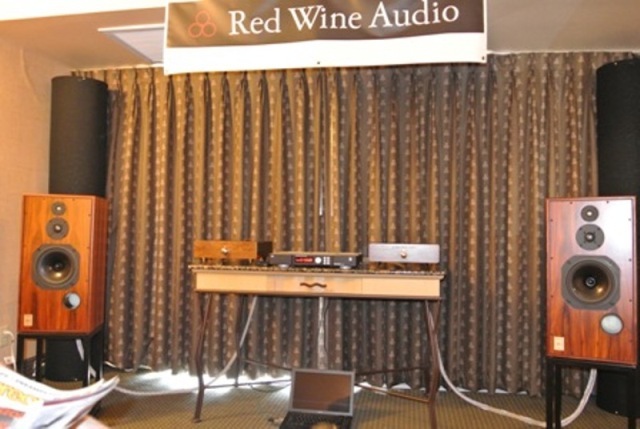 Red Wine Audio had some of the best sound at show. 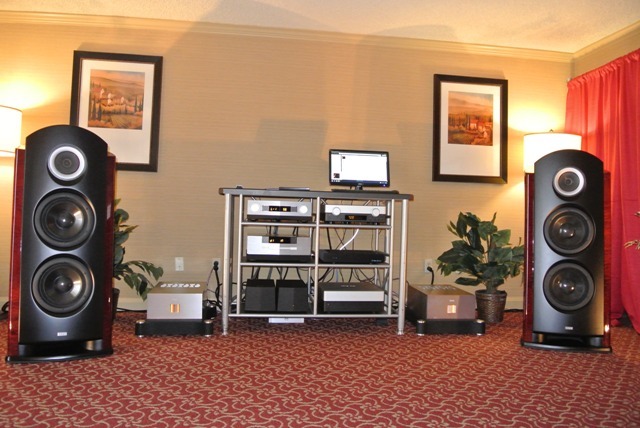 Vinni Rossi was playing DJ and using his Liliana mono block battery powered amplifiers to drive Harbeth HL5 speakers. 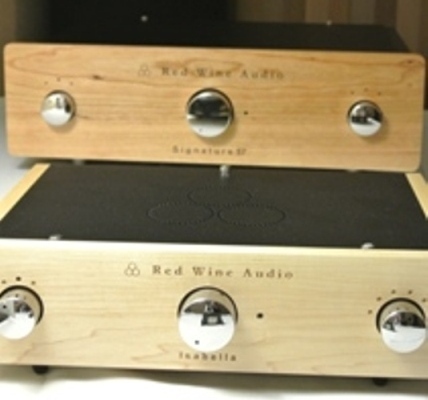 Also, in the foreground is the new Signature 57 integrated amp on the side to tease, its due out shortly. The new Silverline Prelude Plus speakers looked and sounded impressive being driven with Reite Audio electronics. Reite was previously unknown to me, that's what great about audio shows. 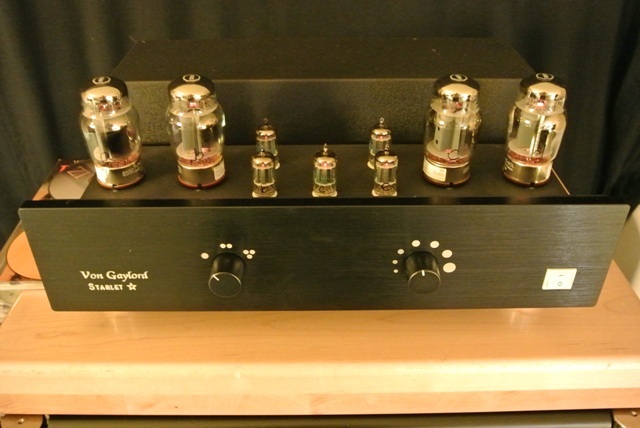 They build amps, pre amps and power supplies. I am sure you will hear and see more of Reite in the future as the electronics were transparent. 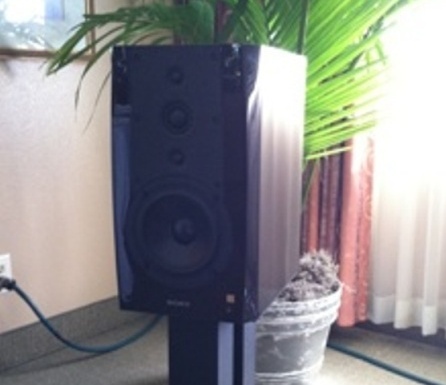 Silverline sent me a set of Prelude Plus speakers to review. Stay tuned. 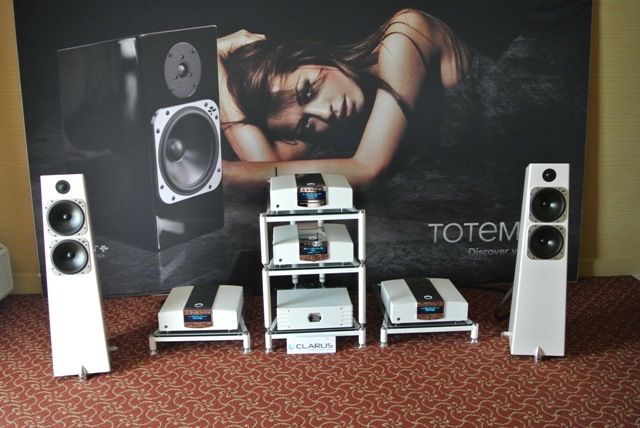 Totem showed off its new line which sounded great and looked wonderful in white finish. 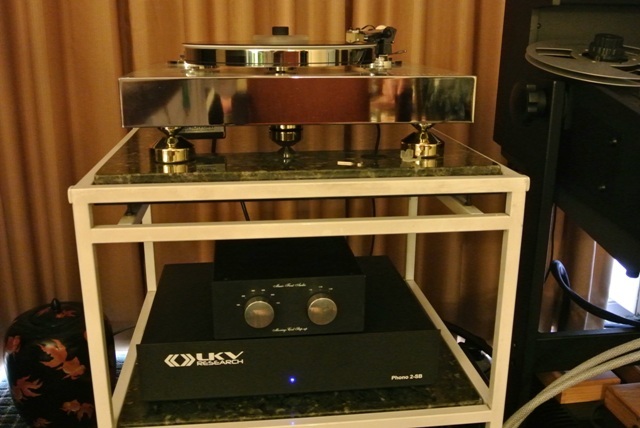 Onda Ligera had its Wave 168D speakers playing through its IPA 006 integrated amplifier which produces 600 watts per channel into a speaker with 93 db sensitivity. The sound of bass notes was fast, powerful and full range. Onda Ligera is coming to the US in just a few months. The projected cost of the Wave168D is $30,000. Kuzma was represented in the Silverline room. 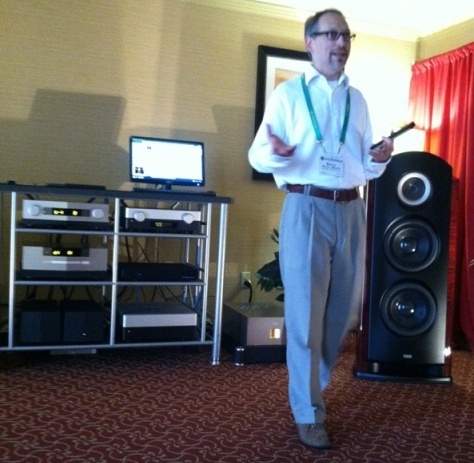 Vandersteen and Audio Research had some of the most impressive and fun sound. 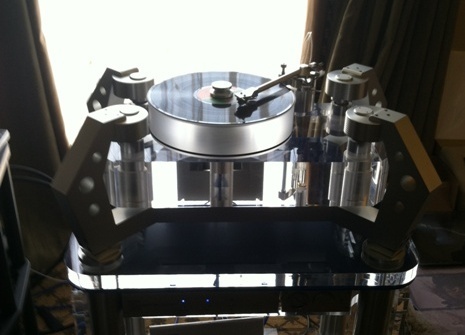 The massive and expensive Basis turntable spun Led Zeppelin at loud levels. Ayon had a plethora of amps playing in each corner of a large ballroom, and then some. 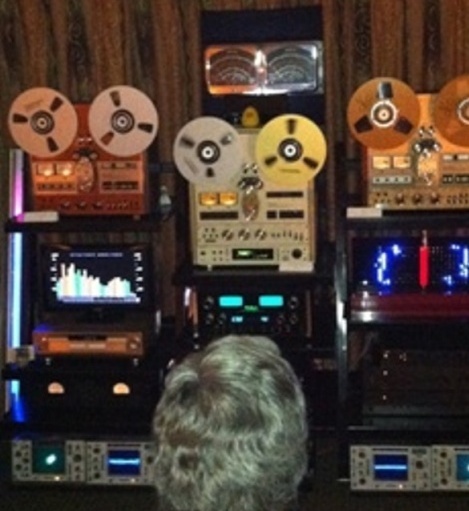 When one system was done playing a song, everyone would stand, rotate chairs 1/4 turn and listen to the next system. I neglected to write down the name of the speaker in the corner with the wood cabinet, but it sounded clear, loud and dynamic. 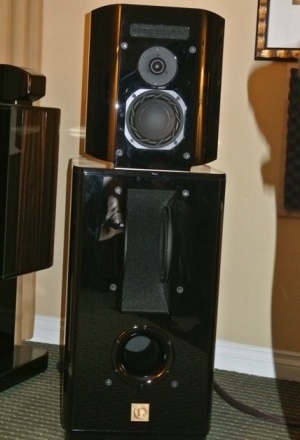 Sony's ES series speakers sounded impressive driven by beautiful Pas Labs electronics. The music coming from such a small enclosure was mystifying. The tweeter is in an the shape of an "I" with two small tweeters separated by a larger one in the middle. 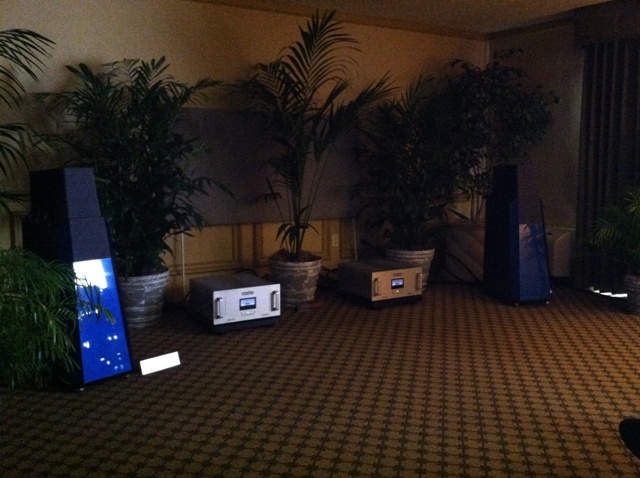 The Sony's sounded like much larger speakers and music sounded natural. 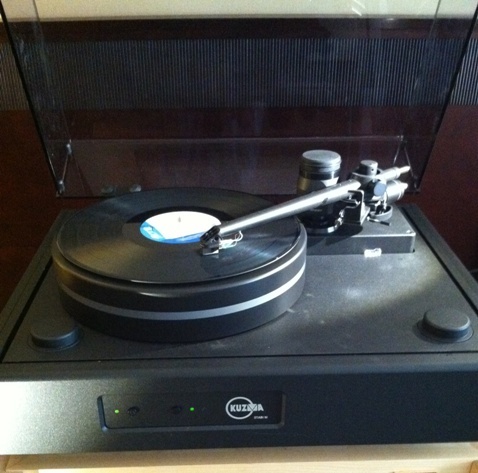 Triangle Arts beautiful deck fit with a Rega arm looked as good as it sounded. 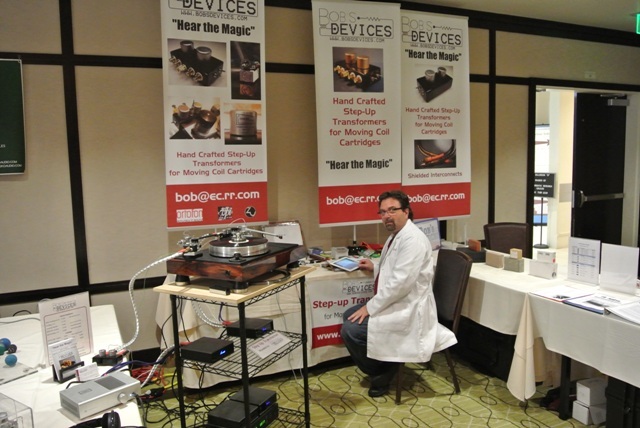 Bob of Bob's Devises was happy to show off his great sounding set up transformer. 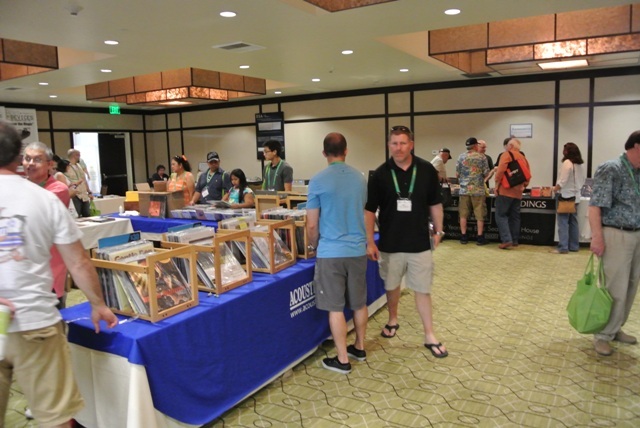 THE Show had several record vendors selling new and used vinyl. See you next year at THE Show 2014.